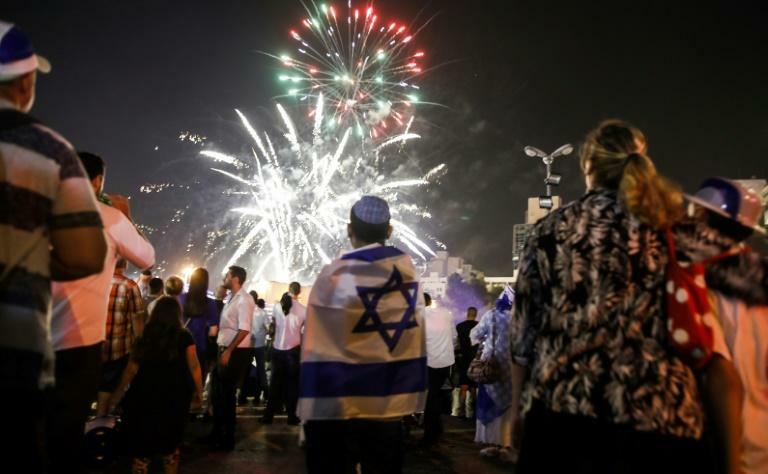 Israel's parliament on Thursday adopted a law defining the country as the nation state of the Jewish people, provoking fears it could lead to blatant discrimination against Arab citizens. Arab lawmakers and Palestinians called the law "racist" and said it legalised "apartheid" following a tumultuous debate in parliament. Others said it neglects to specify equality and Israel's democratic character, implying that the country's Jewish nature comes first. The legislation, adopted by 62 votes to 55, makes Hebrew the country's national language and defines the establishment of Jewish communities as being in the national interest. The law, passed in the early hours of Thursday, speaks of Israel as the historic homeland of the Jews and says they have a "unique" right to self-determination there, according to its final text. The legislation becomes part of the country's basic laws, which serve as a de facto constitution. "It is our state, the Jewish state, but in recent years some have tried to question that as well as the principles of our existence and our rights," Prime Minister Benjamin Netanyahu said after the vote on the legislation, backed by his right-wing government. He called its approval a "decisive moment" in Israeli history. A range of opposition politicians denounced the vote. The head of the mainly Arab Joint List alliance Ayman Odeh called it "the death of our democracy". Arab parliament members who called the legislation "racist" ripped up copies of the bill in the chamber of the Knesset, Israel's parliament, after it was passed. "This is a law that encourages not only discrimination, but racism as well," lawmaker Yousef Jabareen said. Arab citizens account for some 17.5 percent of Israel's more than eight million population. They have long complained of discrimination. Saeb Erekat, secretary-general of the Palestine Liberation Organisation, called the legislation a "dangerous and racist law" that "officially legalises apartheid and legally defines Israel as an apartheid system". Turkey defined the legislation as a "racist" attempt to create "an apartheid state" discriminating against Israeli Arabs. An EU official said they were "concerned" with the new law and were engaging with Israeli officials on the issue. "We believe the basic principles, including when it comes to respect of minorities, needs to be assured and needs to be respected," said Maja Kocijancic, spokeswoman for EU Foreign policy chief Federica Mogherini. The sponsor of the law, Avi Dichter from Netanyahu's Likud party, has said it aims to defend Israel's "status as a Jewish and democratic state." But others pointed out that references to "Jewish and democratic" in earlier versions of the law had been removed and that the law lacked references to equality as specified in the country's 1948 declaration of independence. Shuki Friedman of the Israel Democracy Institute think tank said much of the law is symbolic, but it would force the courts to consider the country's Jewish nature and lead to a more "narrow interpretation of Arabs' rights". By emphasising Israel's Jewish nature, it is "reducing, not directly but indirectly, its democratic nature," Friedman told AFP. 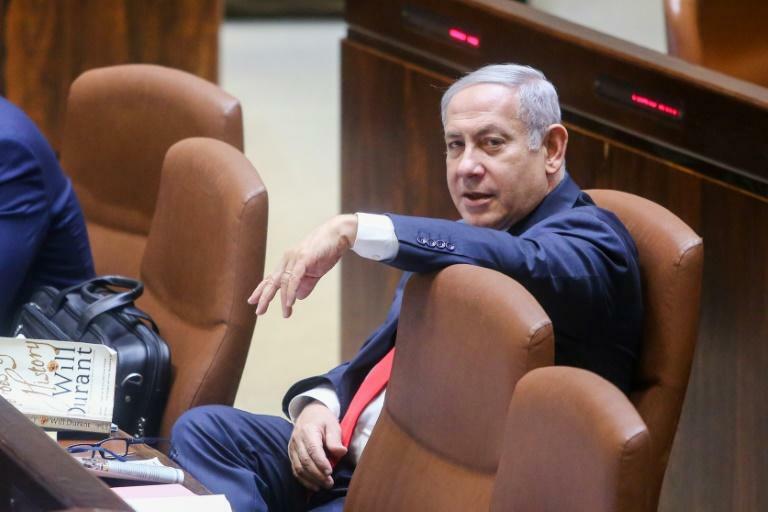 Netanyahu's government, seen as the most right-wing in the country's history, had pushed for the law's approval before the parliament's summer session ends. Some, like Roni Pearlman in Tel Aviv, were "sad" and "disappointed". "Another part of Israeli democracy is being kicked away," she said. But others, like Yehuda in the city of Holon, welcomed it as a move that "strengthens the connection of the people of Israel to the land of Israel". "We need to believe in our truth and go all the way with it," he said. The passage of the law continues Israel's rightward shift in recent years amid frustration with failed peace agreements with the Palestinians and steady growth in settlement building in the occupied West Bank. Parliament's term expires in November 2019, but there has been speculation that Netanyahu, facing a potential corruption indictment, will opt for polls before then and could use the passage of the law to boost his popularity with his base.